Yesterday saw riders take on stage two of the OVO Energy Tour of Britain. This was the longest stage at just over 211km, taking the riders from Kielder Water & Forest Park to Blyth. James said: “Stage two was the longest of the race at 211 km. “From the gun the break went. Luckily we had Rory on the front line and he managed to make it. “It was then a case of focusing on looking after each other (BIKE Channel Canyon) and trying to conserve as much energy as possible. “On the long days, eating and drinking is something you really have to focus on to keep the energy levels topped up. “So we shared the job of dropping back to the team car to collect bottles. “Unfortunately, our sprinter Chris (Opie) wasn’t firing on all cylinders and was still suffering the crash from stage one. “So it was then my turn to get amongst the fight for the line. 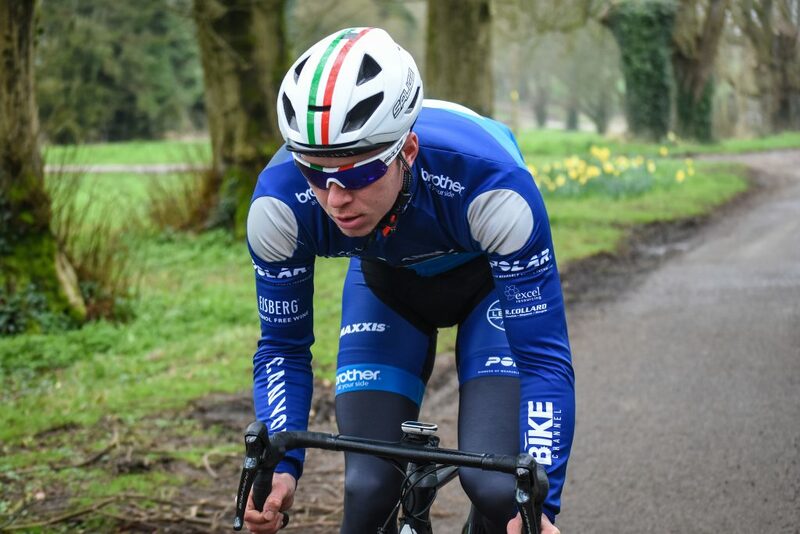 “It is difficult for the smaller teams to fight against the big lead out trains, so it is all about surfing wheels to get yourself into a good position into the last couple of kilometres. “I was positioned well with 2km to go but on the last corner found myself slightly boxed in and lost position. “Then it was a bit too late. At 68kph, one mistake can cost you a lot of places. I rolled in 33rd! “I’m hoping for another crack later on in the week to get further up the ladder.